Name the main gems and explain that how do they work? From Sun to Ketu there are 9 main gems for 9 planets i.e Ruby for Sun, Pearl for Moon, Coral for Mars, Emerald for Mercury, Diamond for Venus, Blue Sapphire for Saturn, Hessonite for Rahu and Cat's Eye for Ketu. These gems absorb the rays emitted by these planets and after establishing resonance with these rays they enhance the flow of rays in our body. Semiprecious stones are cheaper in price and their resonance is lesser to that of the main gems. The resonance is not proper & that is why their impact is not more than 10 % therefore preferably the main gems only should be worn. How to recognise a gem? There should not be any crack in the gem. Its transparency and shine denotes its quality and type. Its cutting should be in angles of same proportion. If cutting won't be proper then it won't be very effective in absorbing radiations. Would the gem be effective? The planet is occupying which sign determines that which remedy would be effective for example if the planet is in airy sign then Mantra chanting, Katha (narrating mythological story) & Puja etc shall prove effective. 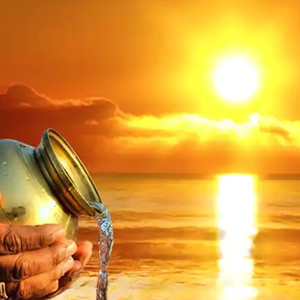 If the planet is in fiery sign then Yagya and fasting etc can help and if the planet is in watery sign then Aushadhi Snaan and flowing its article in water is the best remedial measure and if the planet is in earthy sign then wearing of gem, metal, Yantra and doing Devdarshana would be best. If a Yogakaraka planet is weak in the horoscope then it should be strengthened by wearing gem and Yantra and chanting its Mantra. If a Maraka planet is weak then its article should be flowed in water or donated or else the Mantra chanting and Devdarshana should be done for bringing the desired change. Wearing gem of a Maraka planet enhances its Maraka effect so it would be better to avoid it. If Yogakaraka planet is strong and a bad planet is weak then any remedy is not required. The gem of which planet should be worn? A gem is worn to give strength to a specific planet. It can be worn for overcoming the problems caused by a planet or else for that planet the Dasha or Antardasha of which is in operation. But it is essential that this specific planet is Yogaraka in the chart and does not contain any Marak impact on it. 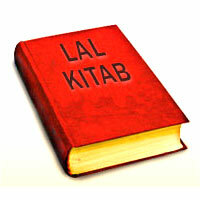 If 8th lord is not Lagna lord then its gem should not be worn at all. If Yogakarka planet is weak then its gem should be worn definitely. Is the gem auspicious for us? It is essential to know whether a gem is yielding or would be yielding auspicious results. Especially blue sapphire should be worn after proper testing. Sometimes one has to face difficulties because of some flaw in the gem. If there is some reddish tone in the blue sapphire then it is termed as Khooni Neelam and can cause accidents. Therefore tie it in your hand to see its impacts. If you feel better after wearing it then it can be worn but contrary to it if you feel some kind of negative in the form of some ill omen, bad dream or infliction of injury or misfortune etc then avoid it. Children and old people should wear the gems of less weight. Diamond can be an exception and it can be that of less weight or in several small pieces. How much should be the weight of gem? The weight of the gem should be in proportion to the weight of the body and weakness of the planet. If the planet is very weak then a heavier gem should be worn. Females should wear the gem of 3 to 5 ratti and men should wear the gems of 5 to 8 Ratti. Should the gem touch your skin? Wearing of a gem in a ring is considered more beneficial than in a locket. In locket the weight of a gem should be double than that of it in a ring. It is believed that rings cause mystical impact on us because when the stone of ring touches the skin of our finger the positive energies emitted by it causes positive impact on brain because the nerves of our fingers have direct connection with our brain. Astrological rings used in accordance with your astrological signs or under expert astrological guidance yield beneficial results. Gem should be worn in which metal? Gold is considered as the best metal for a Gem. Gold can be used for wearing the gems of all 9 planets. For Diamond platinum is excellent metal. For Blue Sapphire and Hassonite mixed metal (Panchadhatu) of 14 carat gold should be used. For Pearl silver can also be used. For Coral instead of copper it would be better to wear it in Gold mixed with Copper. Ruby, Emerald, Yellow Sapphire and Cat's Eye should be worn in 22 carat gold. Gem should be worn in which hand and finger? Men should wear Gem in right hand whereas women in left hand. If a man is habitual of working with left hand and a woman works like a man then also they should wear it in right and left hand respectively. Diamond and Emerald should be worn in little finger, Ruby, Pearl, Coral and Cat's Eye in ring finger, Blue sapphire and Hassonite in middle finger whereas Yellow Sapphire should be worn in Index finger. Diamond can be worn in ring finger and also in middle finger and similarly Emerald can be worn in ring finger and Cat's Eye in little finger. When and how a gem should be worn? A gem should be worn essentially in an auspicious Muhurat. At the time of wearing not only the Lagna, Day and Nakshatra but Moon should also be suitable in transit. Dip the gem in Gangajal or raw milk a night before. Get up early in the morning to wear the ring within one hour of sunrise. Take bath and wear clean clothes. Recite the Mantra of the concerned planet for at least 108 times and then wear the ring. By following this above mentioned ritual the auspicious results of the gem get multiplied whereas the inauspicious get reduced. Ruby should be worn on Sunday, Pearl on Monday, Coral on Tuesday, Emerald and Cat's Eye on Wednesday, Yellow Sapphire on Thursday, Diamond on Friday and Blue Sapphire and Hessonite on Saturday. Gem should be worn for how long ? All the gems yield beneficial results only for three years. Therefore, it is essential to change it after three years or else remove it for some time and wear again after few years or else donate it to somebody. If the desired result has been attained or Dasha has changed in that situation also it should be removed. Diamond is an exception to it. Diamond is for ever therefore there is no need to change it. Which gem should not be worn with which one? Ruby, Pearl, Coral and Yellow Sapphire should not be worn with Blue Sapphire and Hessonite. Diamond, Emerald and Cat's Eye can be worn with any stone. Although the impact should be judged initially if you plan to wear Ruby, Pearl or Yellow Sapphire with Diamond. What does gem omen imply? If a stone is lost, or stolen it indicates that malefic impact of the planet is destroyed. If a stone gets crack it indicates that your planet is very powerful so it shall be essential to propitiate the planet by various remedies. If the colour of a stone fades away that indicates that planet got appeased. What is the process of formation of gem? According to Rigveda fire plays an important role in the formation of gems. When various chemical elements under the earth get mixed and melt with the heat of earth they take the form of gems. This chemical process of mixing of various elements results into the creation of glittering gems with several qualities. In minerals gems there is combination of various types of elements like carbon, magnese, sodium, copper, iron, phosphorus, berium, sulphar, zink or calcium etc. These elements are responsible for the difference of colour, shape, hardness and shine in gems. Where the gems are found? Most of the gems are found in coastal and hilly areas. Gems are found in various countries like Kango, Ghana, Brazil, Barma, India, Sri Lanka, America, Australia and Russia. Why should we wear gems? In todays materialistic world everybody wishes to grow quickly, therefore he takes the assisatance of gem, astrology and Mantra. Gems have definitely played a significant role in bringing a change in destiny. 80 percent people believe in the impact of gems and that is why most of them like to wear gems. Why the main gems are only nine in spite of the availability of various types of gems? In Universe there are nine planets in total the impact of which on human life is significant. The nine main gems have the capacity to absorb the rays emitted by these planets. Therefore these only are the main important gems. The other gems contain the limited ability of absorbing the rays. Therefore, they are termed as semiprecious. What is the difference between gems, semi precious gems, artificial gems and colored glasses? The difference in all above four is based on the capacity of absorbing the rays of planets. The gems have maximum capacity of absorbing the rays. After gems there are semiprecious gems and finally the capacity of artificial gems is minimum whereas the coloured glasses contain almost negligible capacity of absorbing rays. Do the good quality gems work more effectively? Yes, certainly the good quality gems have the bigger capacity of bringing change in our life. Because, they absorb the rays in original form. Would a native remain debarred of the remedy because of unaffordability for wearing a good quality gem? In case of unaffordability for purchasing a quality gem the native can derive benefits from other remedies like charity, fasting and chanting of a Mantra. Is it necessary to wear a gem in a metal? A metal can increase or decrease the power of a gem. Therefore, it should be worn in a suitable metal. For instance for Diamond platinum is excellent metal. For Blue Sapphire and Hessonite mixed metal (Panchadhatu) of 14 carat gold should be used. For Pearl silver can also be used. For Coral instead of copper it would be better to wear it in Gold mixed with Copper. Ruby, Emerald, Yellow Sapphire and Cat's Eye should be worn in 22 carat gold. If a gem gets misplaced or gets a crack then what should be done? It is considered highly inauspicious if a gem breaks or there comes a crack in it. In this situation the planet should be propitiated by performing its yagya. After propitiation new, bigger and good quality flawless gem should be worn. If a gem gets misplaced then it is a good omen. It is an indication of the rectification of the maleficience of a planet. Getting a gem is inauspicious. By wearing this type of gem the troubles of other get transferred to the wearer. Which gem should be worn for how long? Some gems can be worn throughout life whereas some others can be changed as further need of the time and some gems should be avoided always. This can be determined for you on the basis of the position of planets in your horoscope. The gems of Yogakarka or benefic planets can be worn always but those of Maraka and inauspicious planets should be avoided. The gems of other planets can be worn as per Dasha. What is the difference in wearing a gem in ring and locke? Some important central points of brain are located on our fingers. Therefore, the impact of the rays absorbed by gems can be obtained more strongly if these are worn in fingers. The same type of impact can not be obtained if worn in locket. Therefore, the weight of the gem in locket should be double than that in ring. Can we wear a gem already worn by others? Wearing of that gem which has already been worn by other is strictly prohibited because the auspicious and inauspicious impact of planets of other native absorbed by it also get transferred to the wearer. If it is essential to wear then it should be the gem of some close relative i.e. parents or spouse etc. But this should also not be worn without its proper purification. Are heated stones less effective? By heating a gem its quality and the magnetic field along with its capacity of absorbing rays gets affected very badly and therefore they are not as effective as natural. Do several small pieces of gems together are equivalaent to a solitaire? The light emitted by 100 candles is lesser than that emitted by a big bulb. Similarly wearing one big gem is best. What is the importance of time while wearing a gem? Gem is abode of the presiding deity of planet. Without this deity the gem is equivalent to a piece of glass. While wearing the gem this presiding deity is invoked. The process of establishment of the deity in the gem with its proper invocation should be done on the day and hora of the planet. Therefore, for making a gem more effective it is significant to wear it in a suitable time. While wearing the gem its concerned planet should be strong in transit. What is the method of removing a gem? Lot of importance is given to the suitability of timing while wearing a gem as it is believed that it is the abode of presiding deity of the planet, so, the rituals performed by its wearer are observed with the intention of welcoming this deity. The same type of respect and attention is given to the deity as a host gives to his guest when he welcomes or see off the guest. The gem should be taken off on the day of its concerned planet. 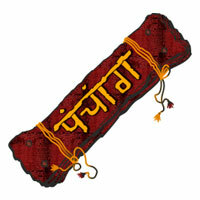 After removing wash it with Ganga Jal and worship by showing incense, Dhoop and lamp. After this just see off the deity and then place the gem in a secured place and finally donate the artcles of the planet. In this issue of E Journal August 2016 contains very good artical on Astrology. Many important articles related to these subjects have been written by renowned astrologers. 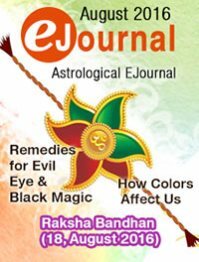 Articles of this issue of E Journal contains Rakshabandhan, FAQs about Gems, Remedies for Evil Eye & Black Magic, How Colors Affect Us etc.